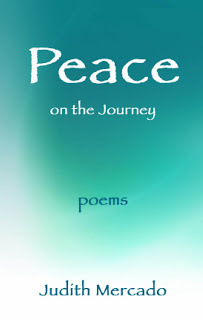 From the cover's gradual transition from deep blue to pale blue tipped with white to the variety of emotions stirred up by the poems themselves, "Peace on the Journey" reminds me of the ocean. This collection of poetry depicting the poet's journey through her chronic illness has as many moods as the ocean; one carries away from it the feeling of the poet, a flimsy boat floating on the waters of her life ... sometimes scared, sometimes pushed into acts of courage she didn't know she had, and always on an inspiring journey. At nearly 400 pages long, but with only one haiku-type poem per page, this volume lends itself to easy reading. This isn't the type of book you sit and read cover to cover. Rather, when you need a jolt of inspiration, or simply want to let yourself express gratitude or sadness, dipping into this book a poem at a time will surely help you find what you need. 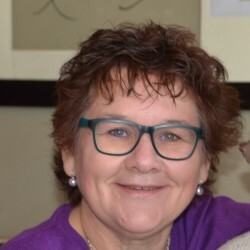 Having worked my way through most of the poems over the past few weeks, I found myself reaching out to these poems when the calm waters of my life became turbulent. After reading a few, I'd once again find myself at peace on my own journey through life.